Drayman’s Brewery & Distillery is pleased to introduce “HONIGJÄGER”, the first cask matured honey and whisky liqueur made in South Africa and the most richly flavoured honey liqueur in the world. The finest organically farmed honey, sourced from African Honey Bee and superbly matured Drayman’s Solera Whisky are blended and then stored in French oak casks for a year’s maturation. The result is an explosion of creamy honey on the nose, tempered by rich cellared oak whisky flavours on the palate and a lingering aftertaste of sweet African Bushveld. African legend depicts the tale of the hunter that heeds to the call of the Honey Guide Bird (Cuculus lndicator) which happily leads him to a bees nest. After harvesting the honey the hunter leaves a piece of young bee brood and honey comb for the bird as a token of appreciation. If the hunter doesn’t know about this practice and ignores his helpful friend the bird will lead him to a poisonous snake the next time he encounters the same hunter in the bush. This legend and the rare interaction between the inconspicuous little Honey Guide Bird and man, has inspired me to design and craft this delectable liqueur. lt took two years to come to fruition but I am sure once you taste it, you will agree that there is nothing like it anywhere in the world! In 1829 the newly formed Rhenish Missionary Society ordained its first members and sent them to a mission station in Wupperthal, In the Cederberg. Soon these restless pioneers started migrating north, through the barren South-West Africa. An excerpt from a journal reads: “December 2nd, 1855, we camped near a small hill called Moundo where we began to be frequently invited by the Honey guides which were very insidious In their friendly offices and enabled my men to get large quantities of honey. We heard the loud cry of the Froncolins, the pumpuru, pumpuru of the Turtle-doves and the chik, churr, churr of the Honey Guide. 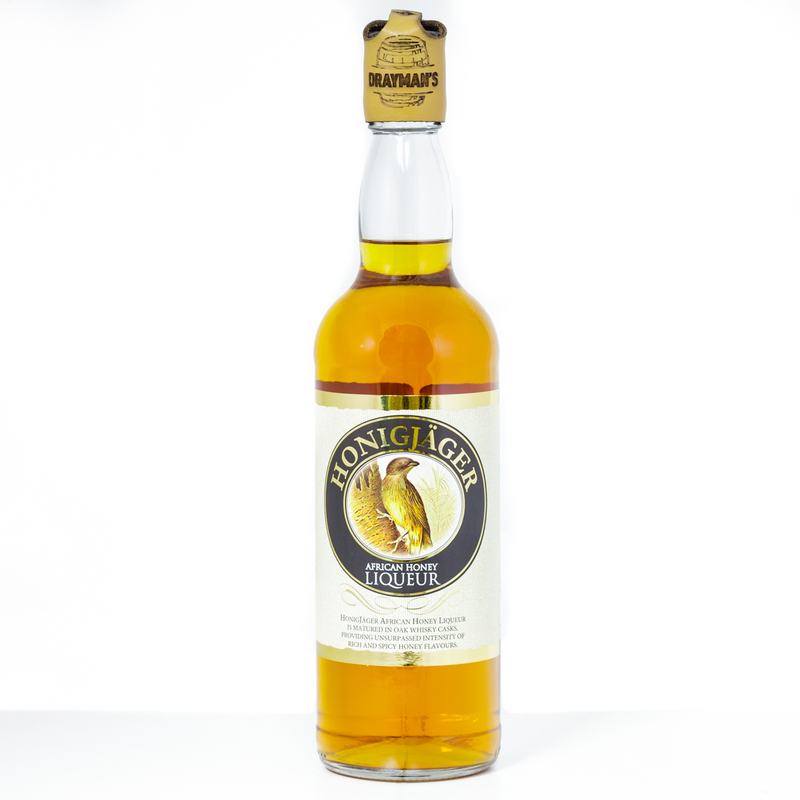 HONIGJÄGER was officially launched at the annual Clarence Craft Beer festival in February 2013.